WACO – The Crockett Bulldogs had the East Chambers Buccaneers just where they wanted them. It had worked in the game against the Coldspring-Oakhurst Trojans the night before. 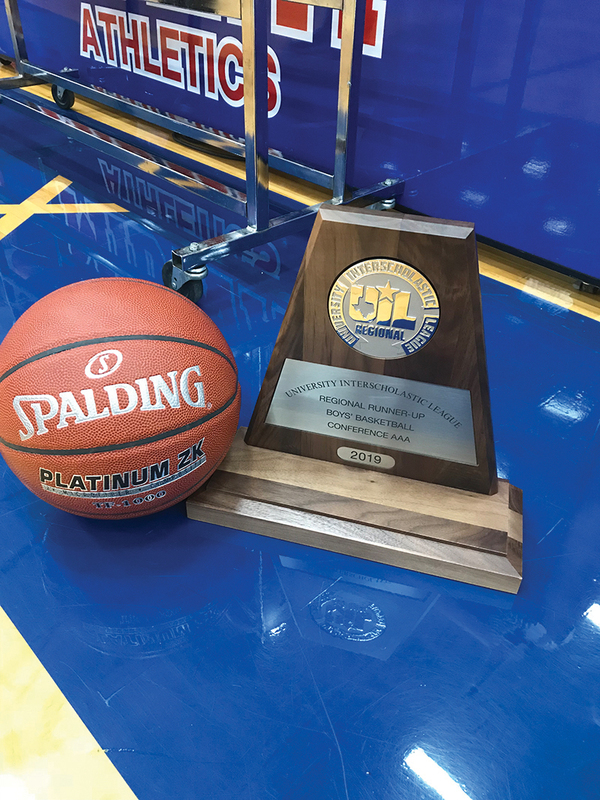 The Bulldogs were up by one heading into the fourth quarter against the Trojans in the Regional Semifinals and held on to beat Coldspring to advance to the Regional Finals. In Saturday’s game against the #2 ranked Buccaneers, the Bulldogs had dug themselves out of an early 11-point deficit and found themselves down by one with eight minutes left to play for a trip to San Antonio. 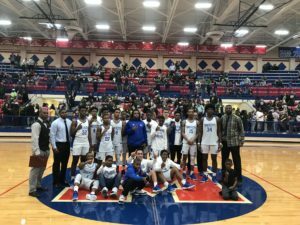 Unfortunately, that’s when the momentum switched sides as a lid seemed to fall on the Crockett basket allowing East Chambers to escape with a 63-55 win and the Class 3A Region III Championship. The Bulldogs dug themselves into a hole in the first quarter as they could only score six points in the first eight minutes of play. Their points came on twos from Allen Horace, Teddy Jones and Ty White. The Buccaneers quickly took advantage of the Bulldog shooting woes to build a 17-6 lead by the end of the first quarter. Derek DeMoss paced East Chambers with eight points while Jayce Guillory knocked down four points. Ernest Ceasar nailed a three-pointer, Kameron Smith had two and Kordell David made one of two from the line to close out the Buccaneers first period scoring. As the second quarter began, Crockett knew it couldn’t let the game get out of hand and tightened up on both ends of the court. White dropped in six for Crockett and Jordan Bedford threw in five. Horace powered his way inside for four and AJ Owens found his range from three-point land. Jones added two and Keyshaun Easterling chipped in one as the Bulldogs cut the lead to three by the end of the first half. Three Buccaneers – E. Ceasar, DeMoss and Rodkale Ceasar – all notched four while Smith added two as the Buccaneers went to the locker room with a 31-28 lead. After the break, Crockett continued to keep East Chambers within striking distance and whittled the lead down to a single point by the end of the third quarter. Jones paced the Bulldogs with four points in the period as six different Crockett players scored. Jones was joined in the scoring column by Horace and Owens with three apiece while Bedford, White and Randy Jones all had two. East Chambers’ points in the third period came from DeMoss with seven, David with three and E. Ceasar, along with Guillory, both with two as the Buccaneers took a 45-44 lead into the final eight minutes of play. That was when the momentum which had been on the Crockett side began to slip over to the East Chambers side. The Buccaneers opened the fourth quarter with a 13-2 run to effectively end the Bulldog hopes. Owens went for five points while Horace, White and Chris Purvis all had two. Unfortunately, that was all she wrote for Crockett as the Bulldogs fell by a final score of 63-55. The Buccaneers fourth quarter points came from Guillory with eight E. Ceasar with five. David had three and DeMoss added a bucket to close out the East Chambers’ scoring. On the game, the Bulldogs were led in scoring by Ty White with 12 while both Allen Horace and AJ Owens had 11 points apiece. 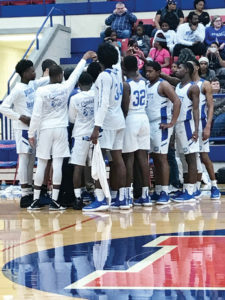 Teddy Jones dropped in eight, Jordan Bedford had seven Randy Jones and Chris Purvis added two each and Keyshaun Easterling chipped in one to round out the Crockett point production. The East Chambers points came from Derek DeMoss with a game high 20 while both Ernest Ceasar and Jayce Guillory had 14 apiece. Kordell David netted seven as both Rodkale Ceasar and Kameron Smith added four each. The loss ends the Crockett Bulldogs’ season with a record 27-4 and while the loss will sting for a while, expect the Bulldogs to make another deep playoff run next year as they bring all but one player back for the 2019-2020 season.